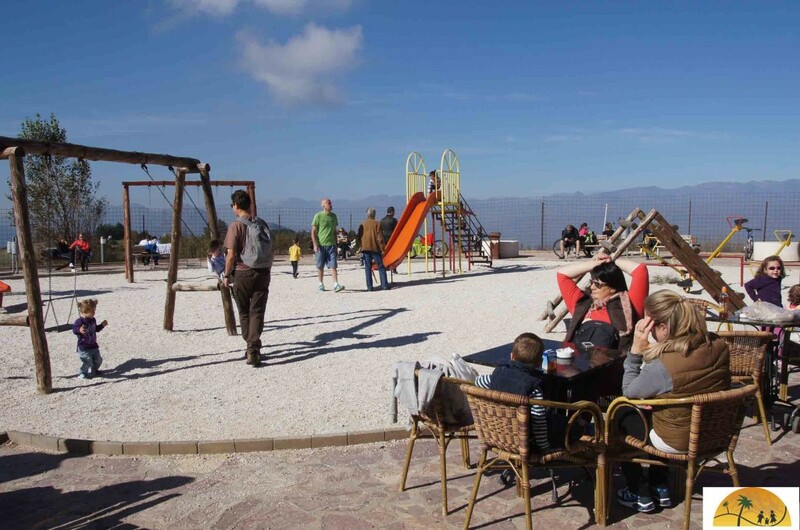 Are you looking for something fun to do in Skopje with children? 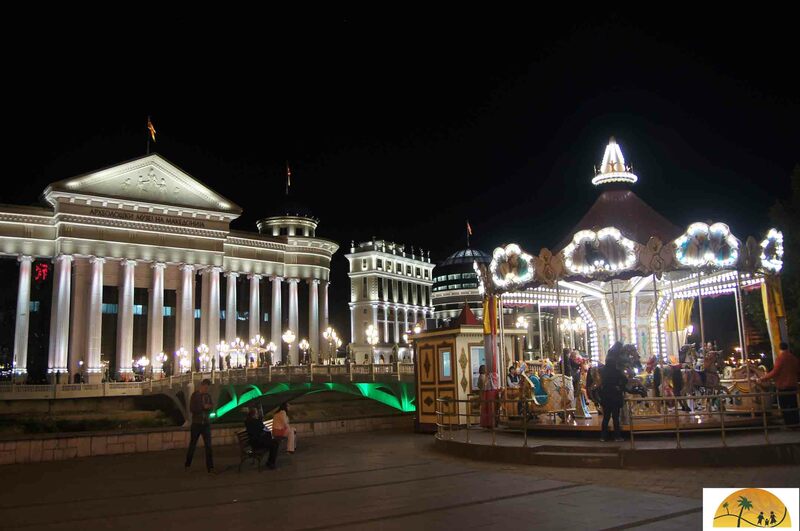 During my short visit to the Macedonian capital I discovered several fun things to do for families. My favorite place to visit in Skopje with children is the Millennium Cross. You get there by riding the cable car. The cable car consists of cabins so is perfectly safe. At the top you have reached an altitude of 1066 meters and the views are truly spectacular. 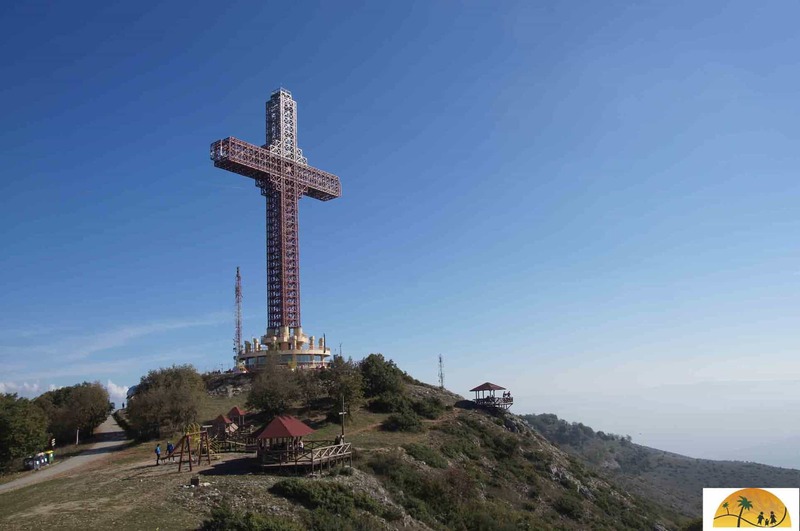 The cross itself is 66 meters high and there are some shops selling drinks and snacks nearby. There is also a nice playground with tables around it. As a bonus there is a large grass area next to the cross where there is a second playground. After so much fun you may persuade your kids to do the same as local families and walk down. If you don’t want to, you can always take the cable car again. The cable car was opened in 2011 and has become a popular outing for local families. Do not go on the weekend or go early if you do not want to get in the file on the road to the start of the cable car. Double-decker buses leave about once every hour from the main bus station to Mount Vodno . You will be dropped off near the starting point of the cable car. The cable car costs 100 dinars. The Alexander the Great Fountain is one of the new additions to the city build as part of the Skopje 2014 project. Children will be too busy enjoying the show to care about the ideology. Kids of all ages absolutely loved the show. The fountain has several different water sources and a lot of lighting features. It goes form blue, green, purple to yellow. 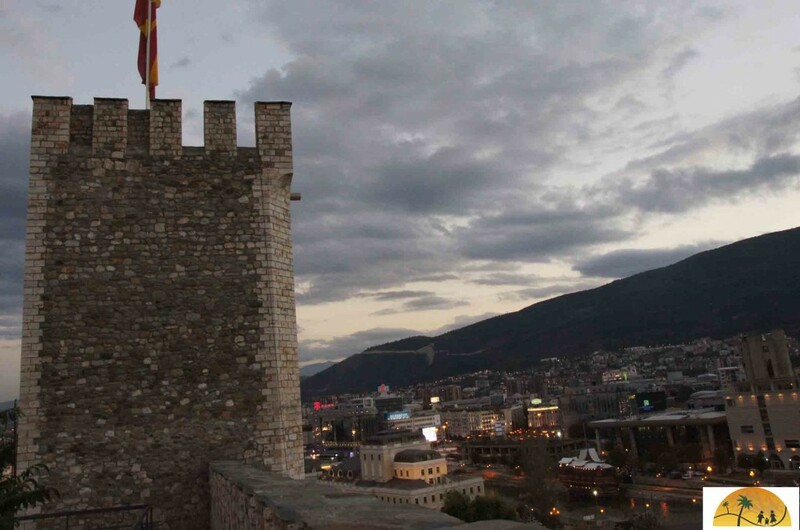 When you visit Skopje with children the fortress above the city is one of the first points you’ll recognize. An old fort is always good place to visit with children and this one is no exception. From the outside, the walls look pretty intact. Inside there are just some overgrown stones but you can take a walk along the battlements and climb several towers. The carousel next to the stone bridge will primarily be a hit with young children. This carousel has an old-fashioned look. It was full with looking children and until late in the evening. I had no time to time to visit the zoo. But a Polish couple traveling with a toddler suggested this as a good place to spend a morning or afternoon in Skopje with children. 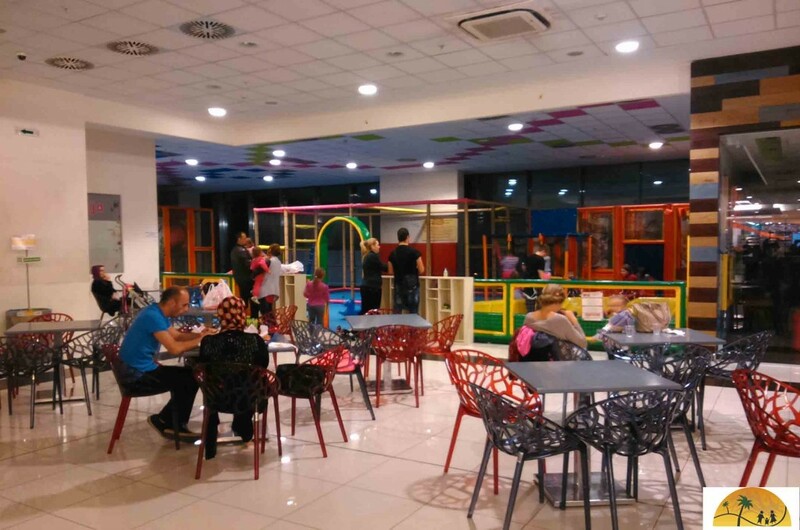 If the weather is not cooperating give the indoor playground at Vero Shopping Center a try. It is not really big but there is enough to keep the kids happy for an hour or two. There is also a small food court where you can eat. 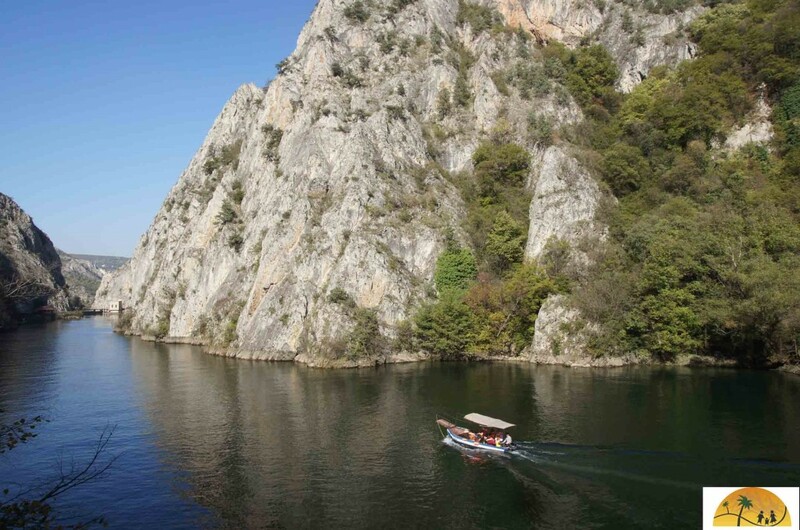 A trip to the Matka Canyon is also easy to do from Skopje. Read the report “Walking in the Matka Canyon” and you know why I will not recommend that you go hiking with the kids. The boat ride is very enjoyable with kids or if yours are a little older you could rent a duo kayak. A bonus tip: two of the restaurants on the Varda river have a small playground in between their terraces. That might be just what you need to enjoy a quiet mom and dad meal. The major supermarkets in Skopje have a large supply of baby products. Diapers are available in many brands including Pampers. As for baby food there are several big European brands and also biological options. This website Gezin op Reis (dutch for travelling family) is mostly in dutch but we have made a selection of our adventures and tips on in English here.